It seems the prospect of becoming a Chinese bank wasn't something its bosses relished. After nine months of threats and bluster HSBC has announced it has decided against abandoning the UK for a new home in the Far East. The bank had entertained the idea of moving back to its homeland in Hong Kong and several other options but its board voted unanimously to remain in Blighty. The Government’s decision to water down the bank levy probably didn’t hurt either. 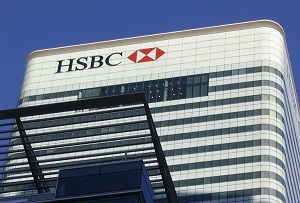 The annual tax on institutions’ balance sheets that was introduced in the wake of the financial crisis weighed heavily on HSBC. Just a few months after it said it was looking to move, George Osborne said he would cut the tax in half by 2021 and restrict it to banks’ UK balance sheets – a move that was disproportionately beneficial for HSBC, which has a huge Asian business. The Government also softened plans for ‘guilty until proven innocent’ rules for bankers accused of wrongdoing, which probably helped it make its mind up too. While the UK’s political environment has improved, the alternatives don’t look great either. Singapore, New York and even Toronto had been floated as potential new homes for the bank but Hong Kong, where it was founded, was thought to be the most likely option. But after several rounds of painful economic data and stock market jitters, the Chinese market isn’t looking as attractive as it did this time last year. And say what you like about Osborne and co., but China’s own political environment – in which analysts can be arrested for ‘rumour-mongering’ – is hardly ideal either. ‘As we evaluated jurisdictions against the specified criteria, it became clear that the combination of our strategic focus on Asia and maintaining our hub in one of the world’s leading international financial centres, London, was not only compatible, but offered the best outcome for our customers and shareholders,’ said the bank’s chairman Douglas Flint. It may be sticking with London, but that doesn’t mean its UK headcount will be staying the same. As well as the thousands it has already axed to cut costs (in common with most of the industry), it also warned today that 20% of the 5,000 jobs within its UK investment bank could be moved to Paris if Britain votes to leave the EU. That should be a big win for the In campaign, even if the prospect of fewer bankers won’t necessarily strike fear into the hearts of the general public.